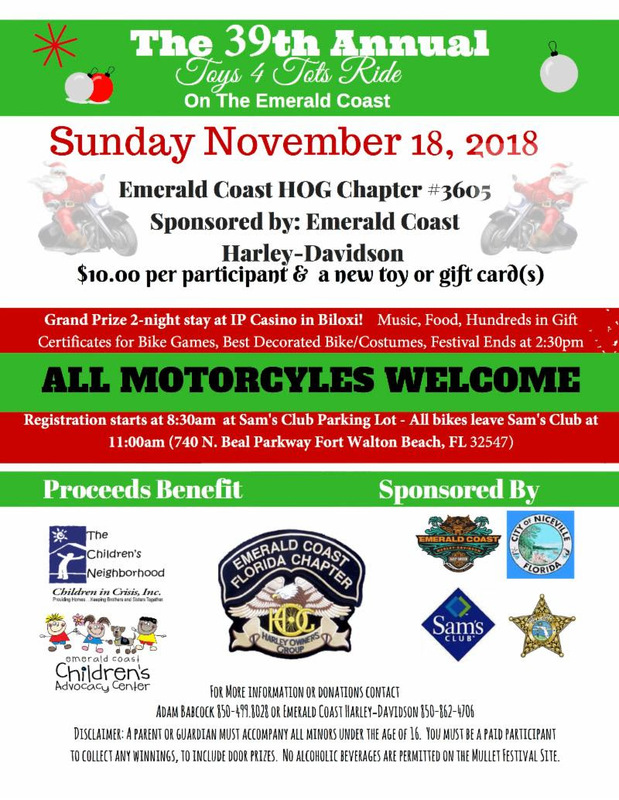 Join us on Sunday, November 18 for the 39th Annual Toys 4 Tots Ride! Sponsored by Emerald Coast Harley-Davidson, this ride is open to the public. Cost to participate is $10 per person, or a toy donation! Registration begins at 10:30 a.m. at the Sam's Club parking lot, and all bikes will leave at 11:00 a.m.